32,701 others viewed this post. 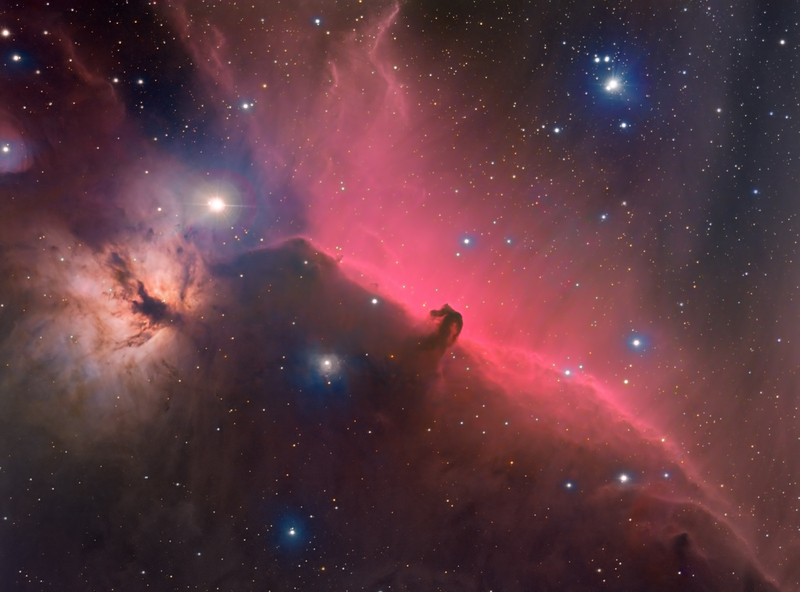 I’ve photographed this region many times now as subscribers know (I even did a panorama version last week) but I wanted to focus less on the horsehead itself this time and more on the intensity of the surrounding dust cloud. This arresting scene is literally fuelled by the cascading dust clouds and the bright stars it’s created, still enveloped in the folds of the same dust. I also wanted to wish everybody a happy holiday or a merry christmas (whichever offends you less). Thanks for all your patronage, even if you never like, comment or repost, just knowing I captured some photons from space, converted them into digital electrons and transmitted them into your eyeballs and neurones is wonderful. Thanks for letting me augment your brain with these images as I do mine. For those that do like, comment and repost it’s always a thrill for me, so thank you. There is more news and cool stuff coming from me in 2018 so stay tuned!